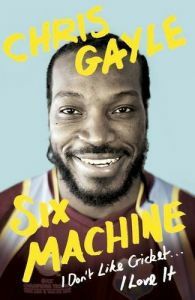 Chris Gayle was born and raised in Kingston, Jamaica, the second youngest of seven children. Growing up where cricket was both the great obsession and the only escape, he was scoring centuries against adults from the age of 14 and made his West Indies 'A' team debut while still at school. A devastating opener, cunning spin bowler and tactical fanatic, he has made more international one-day centuries than Brian Lara, played more Test matches than Ian Botham and taken more Test catches than Clive Lloyd. Captaining the West Indies from 2007 to 2010, he is one of only four players in history to score two triple centuries at Test level. In the thrilling T20 game he is the great pioneer - highest score, highest average, most runs and, of course, twice as many sixes as anyone else. Nicknamed #World Boss, he has played for 16 teams in nine countries across five continents and is the most in-demand cricketer of the modern era.